Today in Masonic History John Penn passes away in 1795. 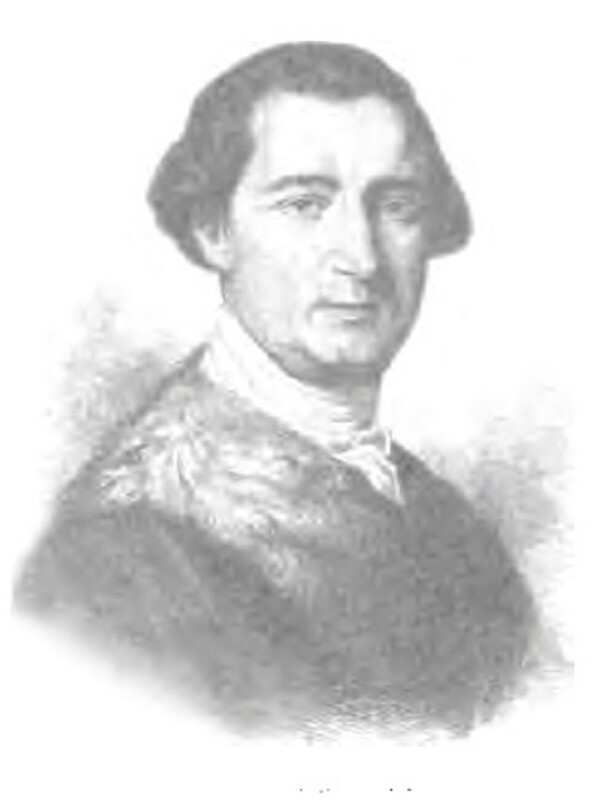 John Penn was the last colonial governor of Pennsylvania. Penn was born on July 14th, 1729 in London, England. He was the grandson of Pennsylvania founder William Penn. In his youth, John Penn was the only one in line to inherit the proprietorship of the Pennsylvania colony. His upbringing and behavior became a concern for the entire Penn family and John Penn's uncle Thomas played a large role in his life. Thomas owned three fourths of the proprietorship of Pennsylvania. When Penn was 18 he married a woman that the family did not approve of. Eventually Penn decided that he made a mistake and his uncle sponsored a trip for him to Geneva without his wife. In 1755 his wife's family sued for support, it is unclear how the suit was resolved or how the marriage was dissolved. In 1752, at the insistence of his uncle, Penn traveled for the first time to Pennsylvania. There he worked essentially as an apprentice to the Governor. Even across the ocean Penn's behavior was scrutinized, particularly when he became friends with an Italian musician. Penn stayed at the friends house until early morning hours and even paid his friends rent. All of this was unacceptable to the family and Penn was recalled to England. In 1763, Penn was deemed ready to take over the Governorship of Pennsylvania. He served until 1771. It was during his term as Governor that he married a second time, this time into a loyalist family living in Philadelphia. In 1771 he returned to England after the passing of his father to assume his father's duties of proprietorship, at least over one quarter of Pennsylvania. By this time Penn's uncle had a son who was born in 1760. Penn was replaced as Governor by his brother. In 1773, Penn was sent back to assume the role of Governor as his brother was doing a unsatisfactory job, at east according to Penn's uncle. Just under two years later the American Revolution began. Penn was essentially powerless as we watched militias form in Pennsylvania and his power get stripped away by various acts of Pennsylvania legislative bodies. At one point during the war, a group of revolutionaries came to his home and demanded that he sign a document stating that he would do nothing to interfere with the American Revolution. Initially he refused and was brought to Philadelphia and placed under house arrest. He eventually signed the document and was exiled to his wife's families property in New Jersey. Through out the war Penn held out hope that the revolutionaries would reconcile with England. Just before the end of the war the Pennsylvania Assembly passed the Divestment Act of 1779. This confiscated 24,000,000 acres of unsold land. Unlike other loyalists who had their land seized, Penn and his cousin, who had inherited three quarters of the proprietorship when Penn's uncle passed away in 1775, received £130,000. A fraction of what the land was worth at the time, still a large some though. Penn and his cousin fought to get more compensation from Pennsylvania with no luck. They turned their attention to the British government who awarded them £4,000 a year in perpetuity. Penn passed away on February 9th, 1795 in Pennsylvania and was the proprietor of Pennsylvania to ever be buried there. It is claimed that his remains were exhumed and taken to England, there is no evidence of that. It is claimed that Penn was a member of the first lodge in Philadelphia. This claim comes from the book Old Masonic Lodges of Pennsylvania: Moderns and Ancients written by Julius F. Sachse, a historian who lived from 1842 until 1919.